Our family-oriented dental office is conveniently open during the evenings and weekends to cater to your busy schedule. We welcome returning patients as well as accept new patients, so come visit us today! Looking for a general family and cosmetic dentist in Sherwood Park? Let us put a smile on your face! Mills Haven Dental is a team of dedicated Sherwood Park dentists who provide general dentistry for the whole family. We are located just west of Broadmoor Blvd on Blackfoot Rd in Sherwood Park. Our group aims to help you and your family achieve and maintain a happy and healthy mouth! We understand that going to the dentist can be a stress-inducing experience in itself, but it doesn't have to be! When you visit our clinic and meet our dentists & support staff, they will ensure you're eased into a relaxing experience in our fully digital clinic. No interest, 0% Payment Plan — We have no set-up or admin fees! Mills Haven Dental has a plan that is right for you. With our no interest 0% Payment Plan, you can rest assured that the smile you've always wanted will not cause you any unnecessary financial stress. We can provide treatment with a payment plan that is affordable and within your budget. You will be able to obtain the type of treatment you need instead of waiting and possibly compromising your oral health. Before you find the right team to tend to you and your family's oral health, it is important that you feel comfortable with your choice in your dental team. Having the ability to come meet our team before you commit to any dental examinations and treatments is important. As such, we would love to have you come in for an obligation-free consultation to see our clinic and meet our team. Call the office to book your 10-minute meet and greet before you make your choice; there are no extra costs and there are no obligations to the appointment! As a courtesy, we are happy to process any insurance claims on our patient's behalf with direct billing. Our administrative staff are trained to efficiently submit your insurance claims electronically with the convenience of direct billing. That way, you don't have to worry about the hassle of paperwork and will only need to pay your portion of the cost for eligible claims. As many of our patients can attest, their smiles are at their whitest after a treatment with our ZOOM! Teeth Whitening. Yellow or dark teeth is a common issue that many of our patients struggle with. Teeth are darker for a variety of reasons- some teeth are naturally darker than others or teeth can become stained over time due to the foods and drinks we consume, or from smoking. If you are looking to lighten the current shade of your teeth, feel free to consult with us to see if ZOOM! Teeth Whitening is a good option for you. With the advancement of technologies in dentistry, aesthetics and other dental procedures are quickly becoming one of the most common needs of our patients. These procedures can include the correction of aesthetic flaws, restorative measures that can prolong the structural integrity of your teeth, and improving your confidence through the improvement of your smile. 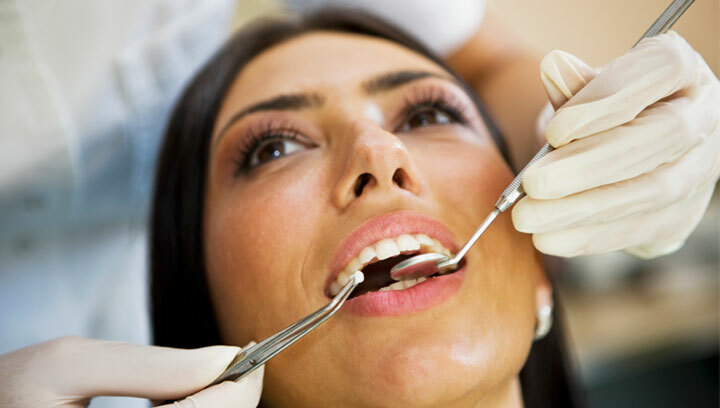 We provide tooth-colored fillings for both restorative and aesthetic reasons. Restorations when required due to tooth decay or fracture, are essential for maintaining dental health. Tooth colored restorations may also be a great option for some aesthetic cases to create a beautiful smile. Gum disease is one of the most prevalent problems affecting the population. In some cases, gum disease can be a serious ailment that increases your risk of losing teeth, especially if left unchecked and uncared for. Regular professional and home care can help to prevent gum disease. Restoring diseased or fractured teeth is a very important and common dentistry procedure that we provide here at Mills Haven Dental. Our team recommends this procedure for our patients who need to reinforce and support weakened, cracked or broken teeth. The procedure may also be recommended for the restoration of severely worn or badly chipped teeth. Our team is committed to providing our patients with care and attention while they treat infected or injured teeth. If you notice a darkening of your tooth, gum swelling, temperature sensitivities, or pressure that causes severe pain; it is recommended that you contact us to arrange an examination with one of our dentists as soon as possible. As one of the most common cosmetic procedures, many teeth whitening options are available to the general public. However, for the best results, we recommend professional systems offered by dental offices. We currently offer a custom take home kit as well as in-office whitening with Zoom Teeth Whitening. The Mills Haven Dental group now offers Botox/Xeomin! Botox/Xeomin can be used both cosmetically and therapeutically. Cosmetically, it is used to treat the dynamic wrinkles of the upper face and around the eyes. Therapeutically, it can be used in the treatment of the symptoms of TMJ issues or clenching and grinding. For more information, please consult with one of our friendly staff. Our dentists may recommend veneers as an option for anyone that is looking to drastically enhance the look of their broken, cracked, chipped, or discolored teeth. They are fabricated from porcelain and they cover the front of your natural teeth. Porcelain veneers take 2-3 appointments to complete and are custom lab fabricated. The regular practice of caring for your teeth is essential for the long-term health of your teeth, as well as your overall well-being. It will help you to avoid extensive procedures in the future, such as decay and other oral diseases. Other services include: Dental Implants, Partial dentures, Tooth Extractions (including wisdom teeth).